Zahra was desperate to record a Moroccan album and so Homeland was conceived: more than the sound of her home country and her life without borders, this eleven track collection is also a diary. Zahra chose an isolated Moroccan retreat and gradually parts of the creative puzzle, including her Berber roots (the Berbers are a Caucasian group of people ethnically indigenous to North Africa west of the Nile Valley), the music of Brazil, the Cape Verde, India and Iran, came together like pools of rain. Rhythms are usually the starting point for Zahra, who is obsessed with percussion, and she began collaborating with Rhani Krija, the Moroccan drummer who brought his instruments collected from around the world, and they recorded everything that moved: both inside and outside the studio. 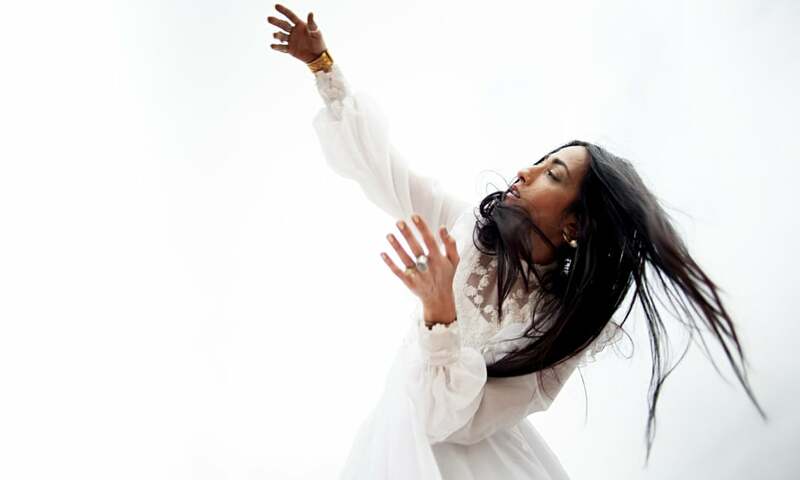 To The Forces was recorded with Tuareg guitarist Bombino (Omara Moctar) and it is Zahra at her most powerful and hypnotic, the percussion and her yearning voice mesh like the swirling air currents of a storm. If you are up for a seductive beauty which transports, look no further than Homeland.